We live in a world of unintended consequences. Who would have thought that the Apprentice would be responsible for a US president? And who might have foreseen that adding video to stills cameras would create a whole new market in audio location recorders? But it is true, Donald is president and DSLRs now dominate swathes of the video market and audio manufacturers are piling in to offer solutions to the problems of getting decent sound with your DSLR. The market exists because the DSLR onboard mics are OK for a guide track but not much more,you don’t get proper connectors on a DSLR. You only get stereo recording and your monitoring and control functionality is very basic. So time to go off board and invest in a location sound recorder. And going that route is increasingly attractive as prices fall and new models arrive offering ever more functionality. And this is where the Marantz PMD-706 comes in. The 706 is a six track SD card based recorder that is less expensive than thick cut deep fried potatoes wrapped in yesterday’s newspaper. The Marantz is billed out of the box as a DSLR product, the top plate has a cold shoe fitted and you can bolt a bracket on the top to attach your DSLR to. And on the side panel you get sends to and from ‘Camera’ on minijacks. And probably the best way to evaluate the 706 is to bear in mind the main target market. At 620 grams including four AA batteries (these aren’t included in the box though) the 706 is lightweight – matching most plastic DSLRs. This isn’t designed to sit in a bag getting battered on PSC or documentary shoots,and as most DSLR shooters don’t require time code the 706 doesn’t provide it. 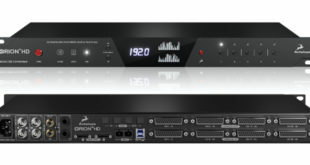 What the 706 does provide is six record tracks and six mic inputs. How do they fit six XLRs into such a small chassis? 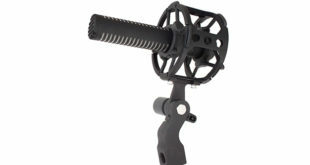 You get four combo XLR/jack sockets for mic/line inputs and inputs five and six are on quarter inch jacks. But they are mic inputs and they do offer phantom power. Additionally, the unit ships with two quarter inch to XLR cables. As you might expect, the front panel is pretty busy. The screen is small and black and white but with good resolution and brightness, it works pretty well. There are a couple of menu system controls, six rotary gain faders, each channel has a red over level warning LED -and the transport controls complete the front panel line up. Although you have six mic inputs I guess most people attracted to the 706 by the track count will probably be using multiple radio mics. One thing you can do with all those tracks is run dual inputs with a safety track being recorded on the adjacent track at a predefined lower level and with three dual tracks available you could run your boom and two radios in this mode and not have to over worry about the occasional over. The Marantz will run at 96KHz but will drop down to a four track recorder at the higher sample rate. 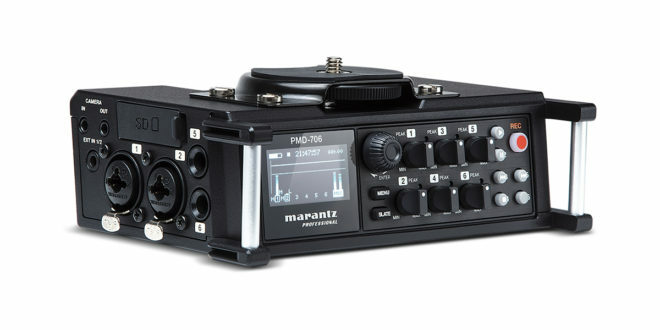 At normal sample rates the Marantz offers limiters on every channel, linkable and has a three band setting. Digital limiters are not without usability but if you overload the front end electronics there’s a limit to how much good they can do. One point – the headphone feed is before the limiters so you might just get lucky – your recording might not be as over as you think it is. Given the complexity of the features on offer (did I mention file encryption?) and the limited front panel real estate – access to features is all on the now classic rotate and press routine. I like the fact that the menu is segmented into areas but when you get to the bottom of a list another rotation takes you straight into the next menu. The 706’s headphone socket is 3.5mm, and this is a very good thing. 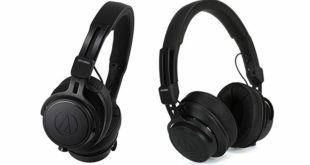 With two quarter inch jacks on the machine that can carry phantom power – minimising the chance of sending 48 volts up your headphones is to be welcomed. 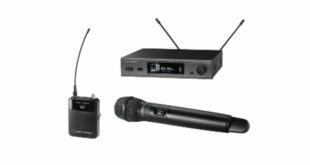 Using the menus you can select input options – mic/line input, the minijack mic input with the option of plug in power and for channels 5 and 6 the camera return feed. Which you could route to your cans if you wanted. The main mic inputs have four gain stages from Low to High plus, much like the rough gain settings on mixers of old. Talking of mixers you can send channels to the onboard mixer – gain is set in the menu system though not using the front rotaries. You can record the mix on two of your six record channels. And each channel has a delay option, auto level feature and low frequency filter. As you roam the internet you will see a billion comments on affordable gear complaining that it is missing ‘this’ or ‘that’ pro feature. Which of course is missing the point. The 706 doesn’t have the quietest mic amps in the world or on board time code and the headphone output can be downright noisy. You certainly don’t want really want to use it as a mixer in any fast moving situation. But if you want a six channel recorder for the price of a decent microphone then you will be prepared for the fact there is no Dante interface. My view is that Marantz enable content makers on a budget to do things they couldn’t do otherwise. Probably the key thing is spending the time getting to know the gear and planning your gig to work round the limitations – do that and you’ll be just fine with the PMD-706 – pass the salt.